I'll be reviewing two products today since I used them in the same makeup look. I'm finally getting around to reviewing the makeup I got in Japan forever ago! I'm a big fan of Canmake. It's basically a drug store brand, super affordable, and really cute. One of the first eye shadows I got was from the Juicy Pure Eyes line. I liked it so much I bought it again when I went back to Japan the second time. The packaging is not sturdy, there is no weight to this product. But it's really cute, with that little bow and the pretty filigree design on the packaging. It comes with a sponge applicator which is slightly more narrow than your standard one. It's not terribly pigmented. 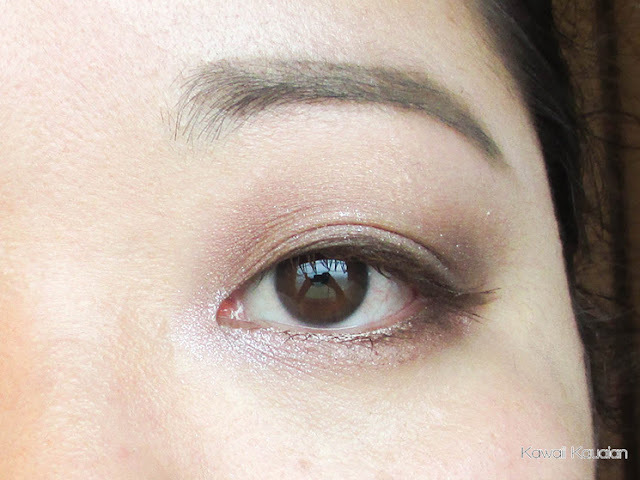 These colors are super subtle, but if you look at a lot of Japanese girls makeup, they don't wear a lot of heavily pigmented colors on their eyes. The light pink is very sparkly, which you can't really tell in this picture. 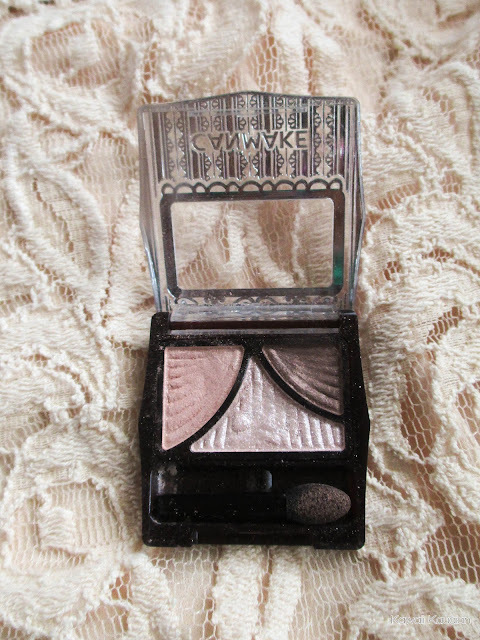 The other product I used is the Love switch Pink Brown Mascara, pictured below. I can't remember where I purchased this, sadly. It was most likely at a Matsumoto Kiyoshi, but I'm not entirely sure. But look at that packaging! So cute. I got two; one for volume, and one for length. 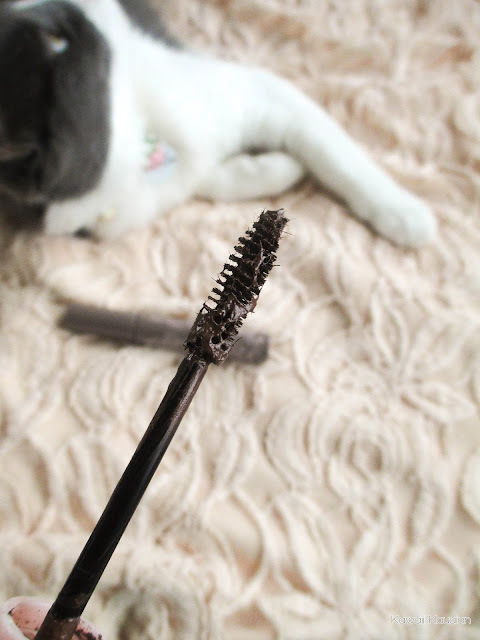 Both are brown, making them the first brown mascaras I've ever used. I've honestly never seen brown mascara in the wild, but I've also never bothered to look for it. The packaging of the product itself is cute with the pretty light pink floral design on it. 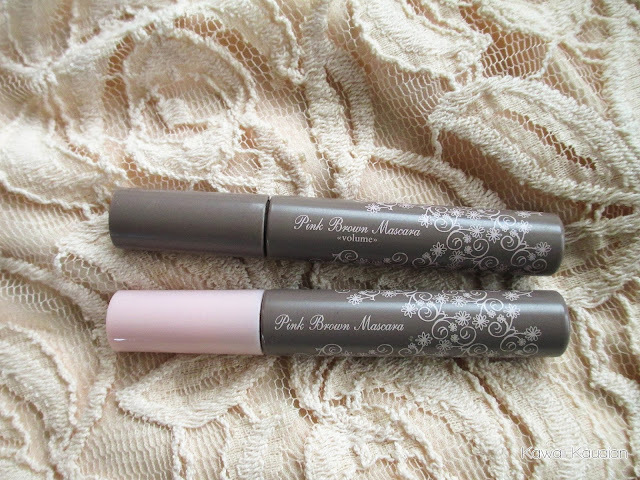 The one with the pink cap is the lengthening mascara, and the brown cap is volumizing. 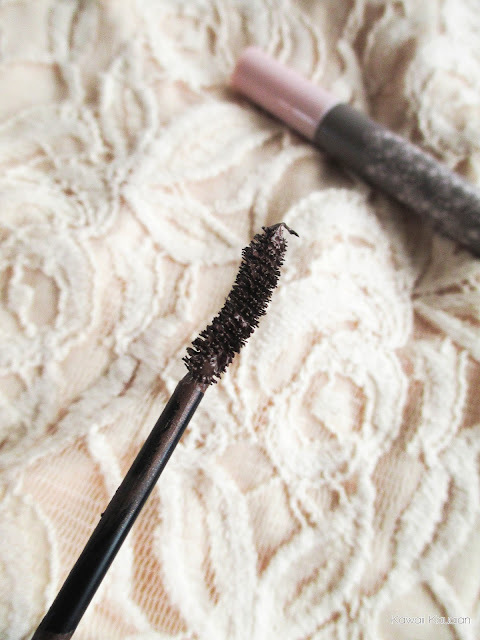 The volumizing mascara has a curved wand to help curl your lashes as you apply. I have short stubby lashes so that didn't really help curl as much as an eyelash curler did. The lengthening mascara has a bristle wand, and contains microfibers to add length to your lashes. God knows I need length on my stubs! 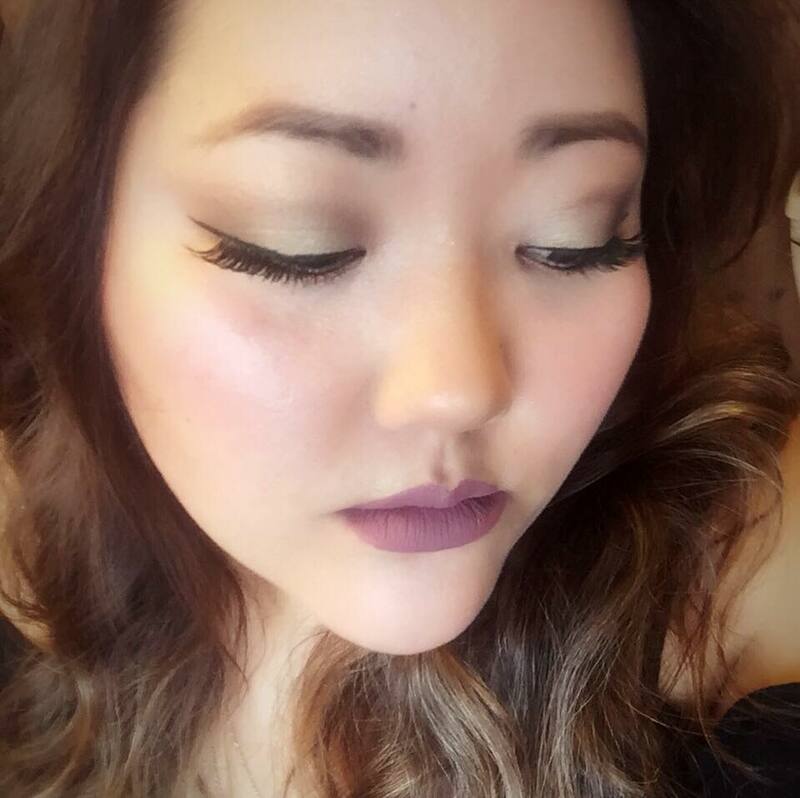 For a while this was my go-to everyday look. 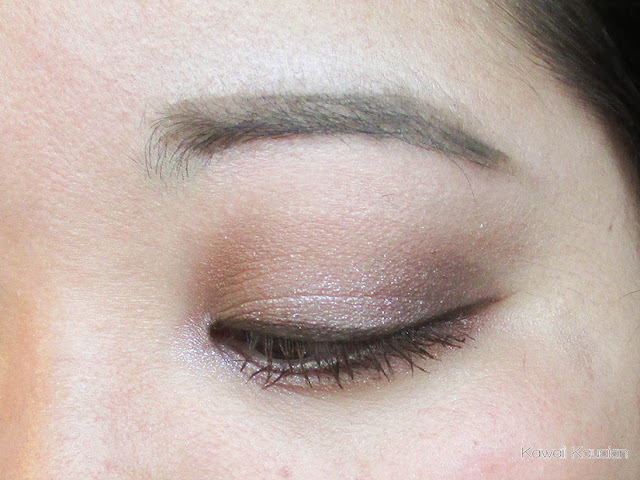 As you can see, the eye shadow colors are really subtle, and has a nice slight shimmer. Nothing too crazy. I have on the volumizing mascara. I couldn't really get too close to the roots of my lashes as you can see in the pic. But it does add volume and separates the lashes nicely. I also applied the volumizing mascara on my bottom lashes, but you can't really tell. I added the lengthening mascara on after the volumizing mascara, and dang. That is some length! And look, you can see it properly on my bottom lashes! 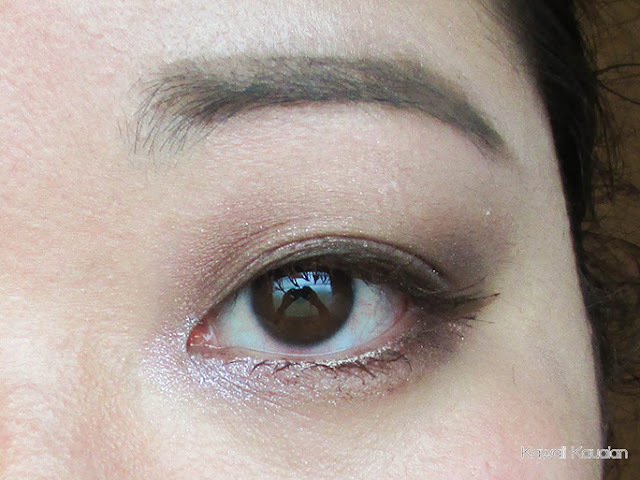 It's nice to have brown mascara for a subtle daytime look. 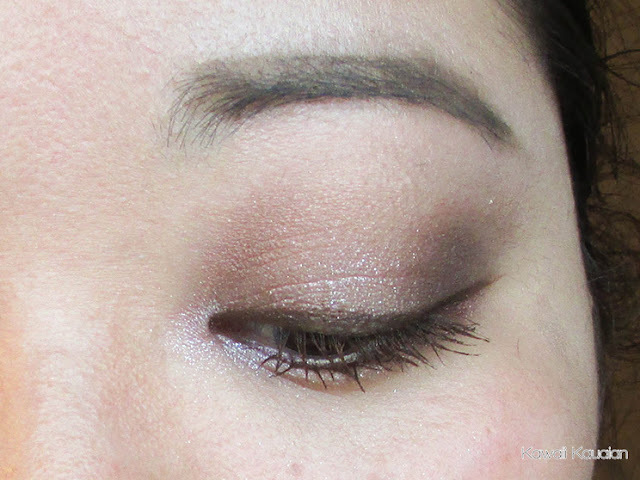 I like that it is a true brown, covers the lashes fully, and actually does add volume and length. What I don't like is the smell. 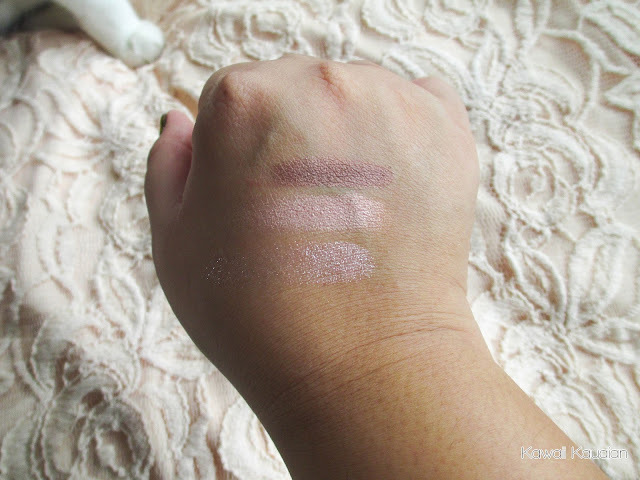 It's really pungent, kind of reminds me of the Milani Amore Mattallic Lip Creme smell. The formula itself stays pretty wet and takes a while to dry, so try not to blink too much. However, the staying power is good, and takes a good makeup remover to get off. 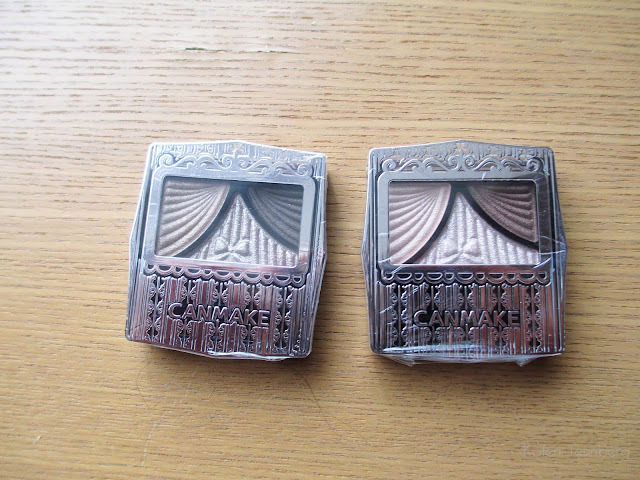 As for the Canmake eye shadow, I really like it. 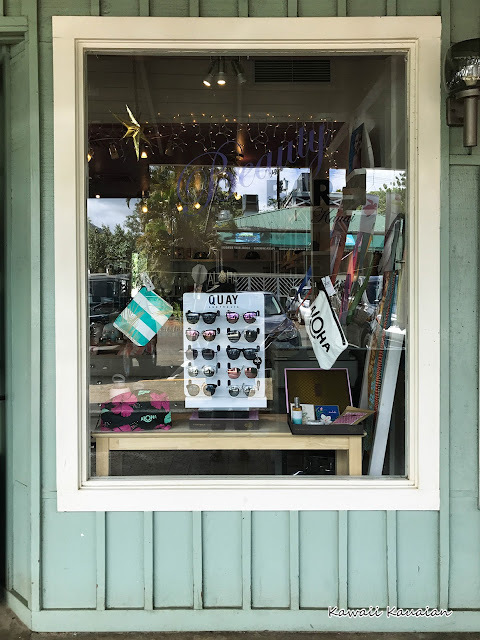 There's no frills, it's subtle, it's affordable, it's cute. It's not amazing quality and it's not very pigmented, but let's remember the demographic of the girls that buy this brand. And if you think about that, then it's really the perfect eye shadow.